SHANGHAI, June 13, 2018 /PRNewswire/ -- This weekend famous Chinese actress Jiang Shuying, Hollywood renowned composer Wang Zongxian, leading photographer Sun Jun and contemporary cultural scholar Yu Qiuyu were among the celebrities at a grand celebration of Bellagio Shanghai to mark the premiere of the theme 'Bellagio Only' of the iconic five-star hotel launched by Suning Real Estate – a subsidiary of China's commercial giant Suning Holdings Group – and Diaoyutai MGM Hospitality, the joint venture between Diaoyutai State Guesthouse and MGM Resorts International. The hotel represents Suning's ambition to play a leading role in bringing high-end international brands and experiences to China. 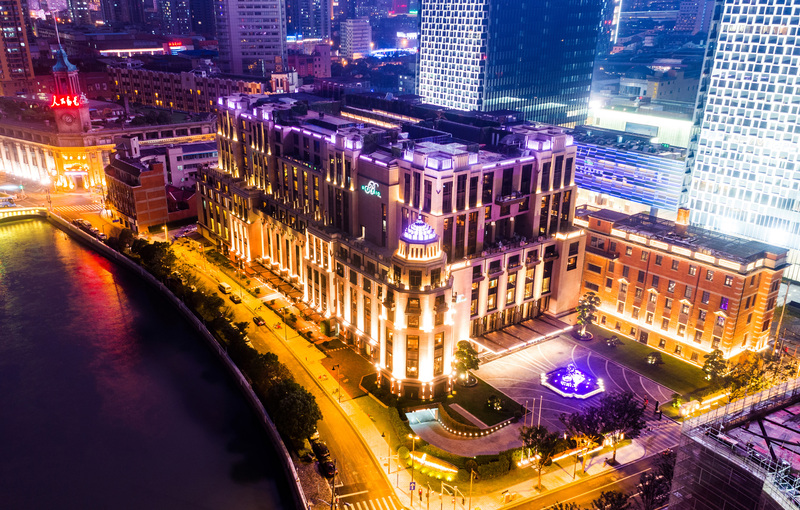 The company, one of the largest non-state owned enterprises in China, has leveraged the strengths and resources from its expertise in eight industries to provide guests at the Bellagio Shanghai – the second Bellagio hotel in the world to follow the legendary Las Vegas original – with a more unique experience. 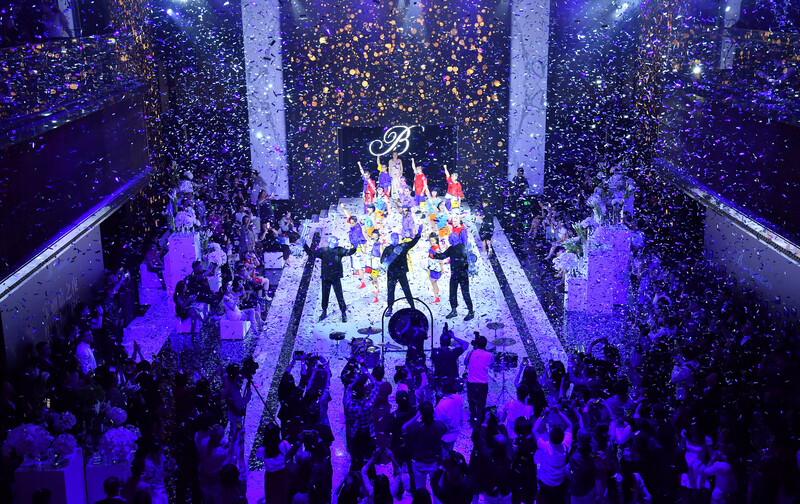 This vision was evident at the star-studded night celebrating the special event where an array of activity, true to the Bellagio brand's promise of 'nothing short of forgettable', attracted familiar faces from the world of entertainment, culture and business. The guest list emphasised the importance of culture and art to the prestigious Bellagio brand – a story brought to life in a premiere by famous film director Lu Chuan, who was also in attendance. Projected onto a 17-meter tall, 270-degree LED screen in the hotel's Atrium and starring actress Tang Jingmei and international supermodel Mariusz, Lu Chuan's film created the artistic visual fantasy to tell the story of a gentleman recalling fond memories, each representing the Bellagio brand's values of elegant, romantic, beautiful and artistic. It was one of many surprises for the invitation-only audience. MGM, known for its spectacular live performances, also brought a flavour of Las Vegas to Shanghai with a series of special performances including the world-renowned Blue Man Show. 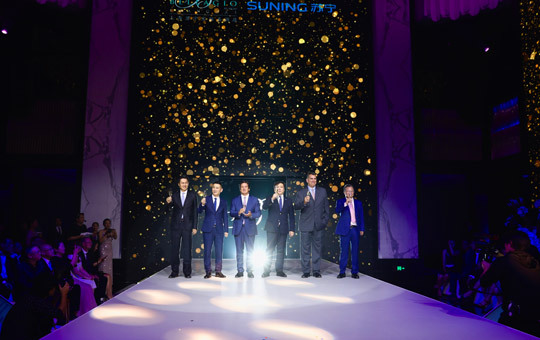 With abundant Smart Retail experience in local market, Suning has big ambitions for developing high-end consumption of both products and experience in China. 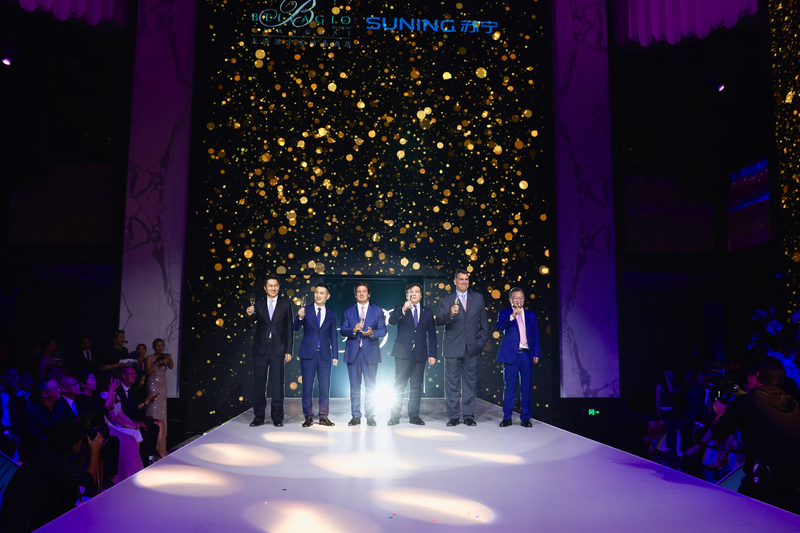 In the hotel scene specifically, along with Bellagio Shanghai, Suning Real Estate has already established partnership with prestigious brands including Sofitel, JW Marriott, Hyatt Regency and etc. The group aims to open 100 more high-end hotels and become the country's flagship hospitality operator in the future.